I was in a store the other day with a friend of mine who was trying to start with better nutrition. So, of course, she needed to buy a new set of cookware to assist her in achieving this goal. The sales person was great, she could not have been more helpful as my friend selected her top of the line, Iron Chef tools! Then we went to pay for it! OMG, you would think that the term customer service had never seen the tweets of these three lovely millennials behind the counter. Yes, it took three of them to ring up the sale. Now my friend, who is British, normally keeps calm and carries on! However, after close to 30 minutes of cashier attitude, coupon debates and mistakes, and eye rolling by the cashier, she lost it. “There is only one boss: the customer. And he/she can fire everyone in the company, from the chairman on down, simply by spending his/her money elsewhere.” So I gave her our “take a breath” signal and then observed the art of conflict resolution in a service business environment by a customer. You see conflict is not a four-letter word! It is simply the expression of opposing needs, drives, wishes or demands. The challenge is how conflict managed or, if it is managed at all. Assertive people can manage conflict more productively than passive or aggressive folks. They clearly communicate their positions and support them with their thoughts. They contribute to the conversation rather than the fray. Many people have had very poor experiences with conflict. It is not uncommon for conflict to be equated with disrespect. That is, of course, because of the awkward ways in which it has been handled. Is it a conflict of emotions or feelings about something? Is it a conflict of values? Or is it a conflict of needs? These are very different. Conflicts of emotions are the easiest to resolve. Why? Because we create our own feelings by what we choose to perceive and think and these can be changed. We are entitled to our feelings, and once we have explained our feelings, we can understand one another better if we are really listening. Conflict of values, or needs are more complex. They will take longer to explain, understand, and manage. If you value the relationship, be willing to take the time. It is essential to be respectful when conflict is present. When fear rises, defensiveness and attack often rise as well. Take care to avoid piling hurt upon conflict. After she had taken an deep breath or two, she assessed that it was an emotional issue of feelings of disrespect, as well as values. She did calmly ask who the store manager or supervisor was and how they could be reached. She decided that she did not want to take any more of her time at that point to be annoyed as it was a waste of energy. She had quickly decided that she wanted to have a “relationship” with the store and what it had to offer. So she did commit to talking with the sales person (who had gone for the day) later, and the store manager, as she felt the bigger picture of employee training would be a more beneficial outcome. I was proud of her handling of the situation. For my friend, she was not running from the conflict but she was being conscience of a more productive way of resolving it. She did, in fact, contact both the sales person and the store manager two days later. She had not been the only one to complain about these cashiers, but because of her approach she was the only one who made a difference. The store instituted a customer service training program for all of its employees! 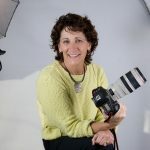 Michelle Burkart is a featured columnist for Women Taking Charge, the official blog of Connected Women of Influence, where she covers negotiation and conflict resolution. Currently, Michelle is the owner of TH!NKresolution, where she is a credentialed mediator; Hearing Officer for the San Diego Housing Commission; Member of the San Diego Superior Court Mediation panel as well as the NCRC Commercial Mediation Panel. Michelle manages and conducts business mediation services for TH!NKresolution to include pre-contract facilitation, contract disputes, personnel issues, conflict coaching and training, family business disputes, government agency disputes, and caregiver mediation. Get it Right the First Time (and Other Photo Tips)! Ease into the Holidays with these 10 Stress Busters! Exempt Qualifications are ChangingBogus Balance: Your Journey to Work/Life Bliss...for REAL!